I feel like I’m on holiday and I hope this feeling doesn’t change! I’m still ill- freshers flu has hit me hard. Even though I haven’t been out drinking every night I’ve still had late nights watching movies and chilling with my new friends, meaning I have been waking up late and wasting my day. Anyone that knows me knows that is one of the things I hate the most! Last night I decided I was going to have an early(ish) night and I was asleep by midnight, which I think is a first since I’ve been here. I woke up at 9 and headed to the gym where my lack of energy was taking a toll on me I managed 45 minutes there. 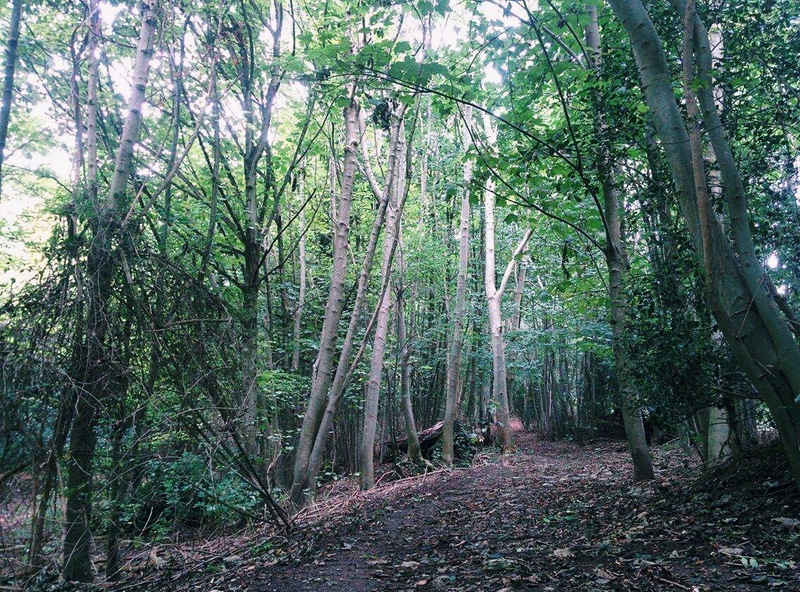 The walk there and back is lovely, we found a short cut through a forest round the back of our accomodation that cuts off 20 minutes! 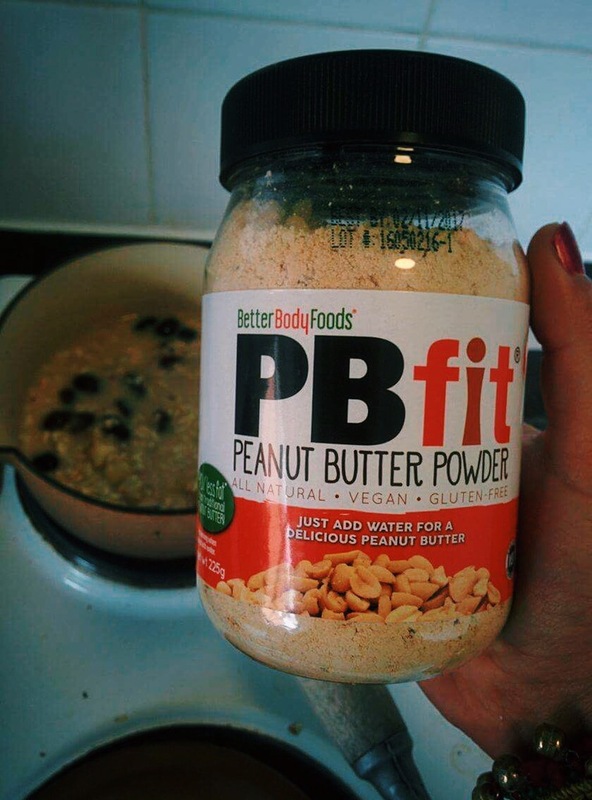 At home I decided to try out my PBfit powder and it was bloody delicious! I’ve almost finished my cashew butter (also insanely good mmmmm) which is upsetting but the PBfit powder makes that slightly less sad. It’s 90% less fat than normal peanut butter because they have removed the oil and then added salt and organic coconut palm sugar. This is brill because it means less guilt when I’m sat up at midnight eating tablespoon after tablespoon of it… So I added it into my porridge this morning and it was delicious- also had dried cranberries, banana, sunflower seeds and linseed. I attempted to do some work but felt so tired and had to nap so I thought playing a podcast about the topic I was studying would be beneficial while I slept (?? Better then nothing). Then I decided I needed to get on with my day so did 15 minutes of meditation and 15 minutes of yoga and actually started to do work!! After a few hours of work and a few minutes of procrastination I decided to make lunch. 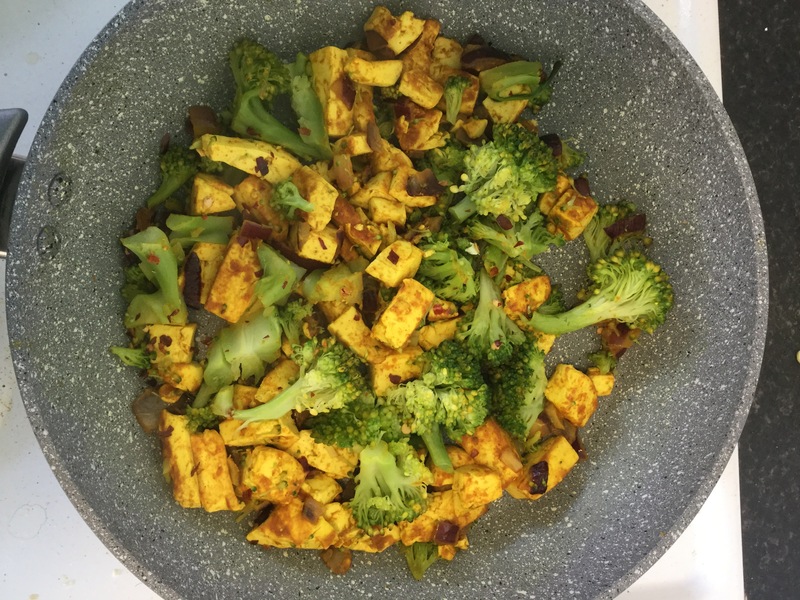 I know ginger and turmeric are both meant to be natural antibiotics; good in easing flu symptoms and I really like the taste (and colour it makes everything) so I put half a teaspoon of ginger powder and 1 teaspoon of turmeric on some tofu I had diced up. Fried some onions in coconut oil, steamed some broccoli, added it all into the pan, fried together and topped with chilli flakes. I enjoyed this with a mug of ginger tea and an orange whilst doing some reading. This afternoon I am heading into Brighton for an event they have called Brows ‘n Beers. It’s in a brewery called Brew Dog and they have demos/massages from LUSH and lots of vegan food and beers and games throughout the evening. I’m super excited about this- going to get pampered up and buy lots of cruelty-free products! Thanks for the review on the PB Fit. We have seen it at our local warehouse store but weren’t sure about the taste. I grow my own mint, basil, and geranium for teas this year. It helped fend off the usual cold I get this time of year. Next year I hope to add more herbs to the garden for a better variety. Hope you feel better! You should try it! I don’t think I have got the ratio of powder to water quite right yet, I think I’ll put less water next time but it was perfect for porridge quite runny! I have a basil plant at the moment but growing geranium for tea sounds like a lovely idea- and if it’s helped fend of your cold I think I will definitely try! Good to hear! 😊👏🏻 Have fun!